Successful orthodontic treatment requires that the patients to agree with and follow the treatment proposed. This requires the patients to keep appointments, maintaining good oral hygiene, wearing elastics, appliances and avoid damage. The aim of this review was to investigate the effectiveness of interventions to enhance adherence among orthodontic patients aged 12 to 18 years. Searches were conducted in Medline, Embase and the Cochrane Central Register of controlled trials. 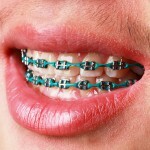 These were supplemented with hand searches of the journals; American Journal of Orthodontics and Dentofacial Orthopedics, The Angle Orthodontist, European Journal of Orthodontics, and The Journal of Orthodontics. Randomised Controlled Trials (RCTs) that included intervention (verbal ad- vice, written advice, interventions based on psycho- logical theories, and educational interventions) vs no intervention or comparisons of two or more interventions were considered. The primary outcomes of interest were; recall of information as measured by a validated questionnaire; attendance at orthodontic appointments; self-reported behavior; clinical indexes, such as the Plaque Index. Study selection was carried out independently by 2 reviewers and data abstraction by 3 reviewers. Risk of bias assessment was conducted. 4 RCTs (involving 304 patients) investigating 4 different interventions were included. These were, a system of rewards or awards, the Hawthorne effect, written information, and demonstration of the microbiology of plaque. The quality of the studies was considered moderate. All the interventions, except the use of award/reward, were associated with improvements in adherence. The literature advocates the use of several methods to improve compliance/adherence among orthodontic patients. Although there is no evidence to support one particular intervention over another, the results demonstrate the value of spending time with patients to illustrate the importance of adherence. Despite using 3 databases and a journal hand search this review was only able to identify 4 RCTs that addressed this question. All the studies examined different interventions the largest including 144 patients. The CONSORT criteria were used to assess risk of bias. However these criteria are for the reporting of studies rather than assessing bias so it would have been preferable to use the Cochrane Risk of bias approach. Each of the included studies results is presented separately. While the studies were considered to be of moderate quality the authors’ highlighted issues with allocation concealment, blinding, lack of sample size calculations and other reporting issues. As the authors note more high quality studies need to be carried out on was of assessing patients’ adherence and investigating interventions for improvement. Aljabaa A, McDonald F, Newton JT. A systematic review of randomized controlled trials of interventions to improve adherence among orthodontic patients aged 12 to 18. Angle Orthod. 2014 Jul 21. [Epub ahead of print] PubMed PMID: 25045779.